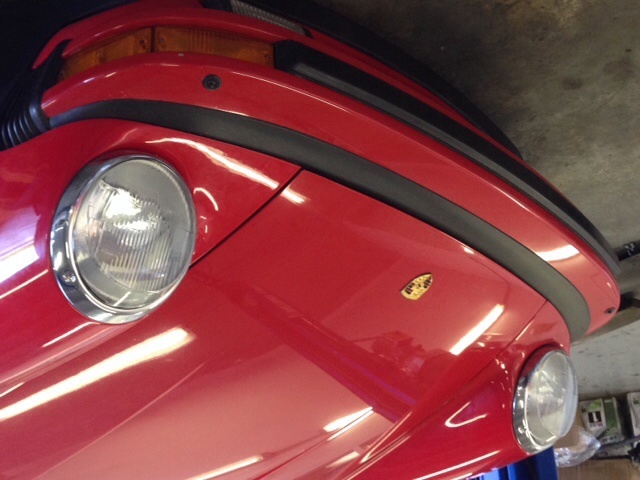 I am looking at a 1988 911 with (relatively) low mileage (under 100k). The compression test came back as 174, 175, 175, 178, 172, and 175. The lead down came back at 9, 5, 5, 7, 5, and 14 (%). The compression numbers seem strangely high, but they are all within the 10% range. Should I be concerned? Also, I was expecting the leak down numbers to be closer - the 14% seems out of sorts given the compression results were so close. Should I be concerned? I'm going to drive the car, but have never driven an air-cooled Porsche. Sadly my experience has always been of the water-cooled variety. I understand the need to "listen" for noises, but what specifically should I be looking for in a road test? Any advice will be appreciated. The numbers are fairly decent for a 25 year old car. Leak down at 14% is indicator of valves when your compression is good. I certainly would grind the seller for a lower price with a leak down reading of 14%. Basically, all the Carreras with 85K+ miles need guides, usually all 12 of them. You have to alot for top end rebuild money. I contend that leak down and compression test comprise maybe 10 or 20% of a full PPI. When I had mine done ,they spotted ,and brought to my attention maybe 30 different problems ,ranging from small stuff like non factory speaker covers up to and including oil leaks ,a/c problems ,door light switches non -op ,to a little spot of corrosion in my battery box . I mean , it took a good hour to point these things out to me. And this was a car that looked and drove close to perfectly. I had no surprises or questions after my PPI was completed. You ,I humbly suggest , need this level of inspection. Thank you all. The PPI was certainly more detailed than the numbers above. I was made aware of very little chip, dent, scrape, worn stripping, a missing knob, etc., etc. I can understand the impact of all those issues, I was more concerned about the 14% on the leak down. I know there is no perfect science to this, but at what percentage do you rebuild or replace the valve guides? Do I have a few thousand miles left or, at these numbers, should it be done immediately?